Happy Friday everyone! There are a lot of things to celebrate today, like the nice weather forecast for this weekend, the fact that there won’t be an lirr strike, and that Mischa and I have yet to be stung by the angry wasp/bee that lives in my mother’s outdoor patio chair. Seriously, I don’t know what is going on but there are so many of them this year. Last summer it was ticks galore, this year, bees and wasps. And this guy is not the friendly, fuzzy, “oh hey, just wanted to see what you’re up to” kind of bee. No, he is the “I’d like to sting you for no good reason, stay away from my patio furniture” kind. Clearly there is a nest/hive and it needs to be dealt with, which is what JD will be doing later today when he joins us out here for the weekend. 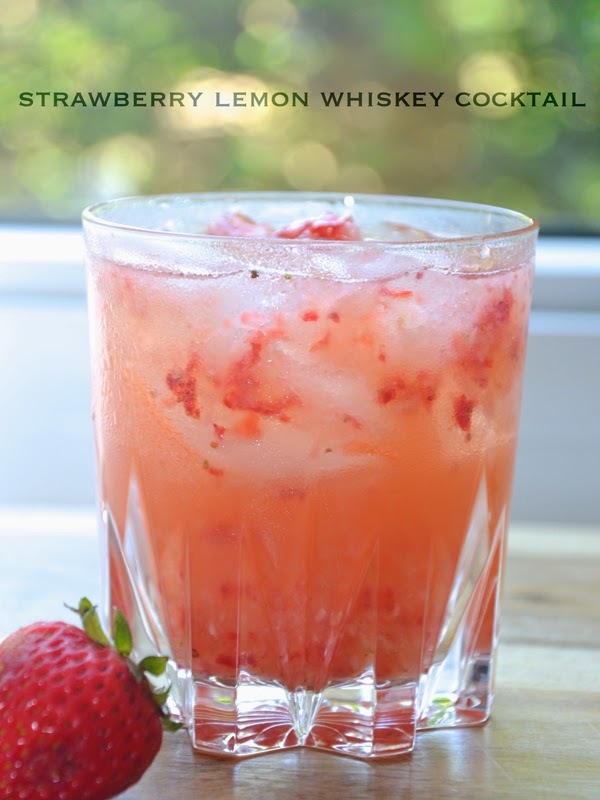 A week or two ago I happened upon a recipe for a strawberry lemon white whiskey collins (that can be found here). I didn’t have any white whiskey, so I used what I had. Last week we made them with bourbon and rye, yesterday I made one with Tennessee whiskey. All came out just fine so feel free to use whatever kind of whisk(e)y you like. Another note is that I really hate making simple syrup. I know, it’s just sugar and water, what’s the big deal? It annoys me for some reason so I avoid making it like the plague. Puree the strawberries (I used a small food processor) then pour into a large glass, or shaker. Add lemon juice, sugar, whiskey, and soda water. Stir or shake, whatever you prefer, until sugar is dissolved and pour over ice to serve. *If you prefer to do it the proper way, replace the 1 teaspoon of sugar with 3/4 oz simple syrup and reduce soda water to 3/4 oz. JD and I have really been enjoying this one lately. I think the strawberry and lemon strike the perfect summer balance. It's refreshing and not too sweet which is a win in my book. Thank you so much for reading and have a great weekend! This not only looks but sounds delicious!! On a side note, my husband and I screened in my mom's deck because of the wasps that liked to live there! I hate stinging things haha. I have a new-found love for whiskey, but I need to have it in pretty sweet drinks, so you can be sure I'm adding this to my to-make list :) Sounds SO yummy! Looks delicious!! It makes me want to have a drink right now even tho it's so early in the morning!! I need this drink in my life. Hope you enjoy the weekend! Yup, totally making this sometime this weekend. It sounds (and looks) amazing!!! looks amazing, i'll definitely try it! that drink looks AMAZING! i'm def going to have to give it a try this weekend!!! happy friday! Hola te acabo de conocer me gusta tu blog..¿quieres que nos sigamos por GFC? this looks yummy ! I'll have to try this asap ! I'm not a whiskey girl, but this cocktail could change my mind. Yum! I"m not a whiskey girl, but this look delicious! I might have to try this one! 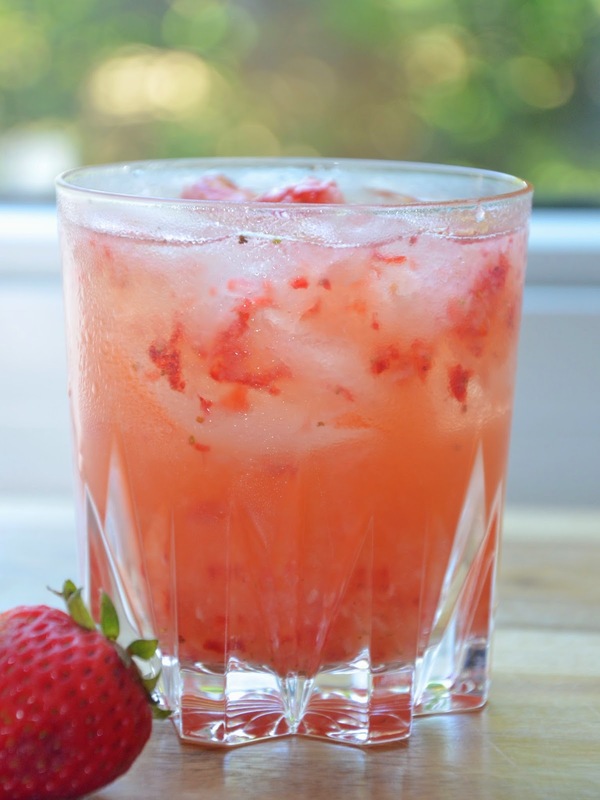 This looks amazing...so perfect and refreshing for summer! Yum! Mm this looks really refreshing. Even better is the cup that you photographed it in (I like the edges at the bottom). Good luck with the bee---I've never been stung and I want to keep it that way. Fantastic !I want to it! that sounds perfect for a summer day! It looks so yummy, I will surely try it. That looks extremely delicious!! I love whisk(e)y so I'll have to try it.